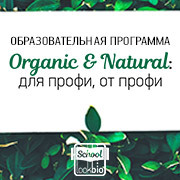 «Raw materials & packaging» magazine is the only most complete source of scientific, technical and practical information for cosmetic industry and household chemicals production in Russia and CIS countries. The whole manufacturing chain, from raw materials till packaging, is presented in the magazine. Information in this section reflects the latest achievements and trends in hygienic products, cosmetics and household chemicals production and, in accordance with our readers recalls, is of practical use in their everyday activity. and also their offers to the market. This part of the magazine is particularly requested by the specialists really engaged in manufacturing. Our Magazine helps to solve efficiently all questions connected with production provision, starting with raw materials and equipment and ending with packaging. In «Raw materials & packaging» magazine the information without analogues about enterprises engaged in paper, cartoon, plastic and glass cosmetic packaging, and also the offers of the companies engaged in equipment for packaging and labels manufacturing are published. «Packaging news» section is worth of special attention. In each issue you will find information about exhibitions and seminars, economic and financial news, the latest and the most striking domestic and foreign novelties in raw materials and finished products. You will be well informed about the latest developments in the world of cosmetics, perfumery and household chemicals. 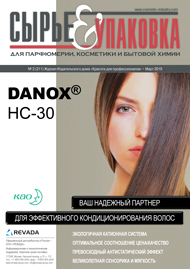 «Raw materials & packaging» magazine maintains the most complete database on enterprises engaged in cosmetics and household chemicals manufacturing and sales, both in Russia and in neighbor countries. The magazine envelopes a wide circle of companies interested in it.